Having your own boat is a great experience since you can go out into the water and relax whenever you want. Unfortunately, a traditional boat is difficult to store and transport, on top of being expensive. To avoid these costs and hassle, it’s better to opt for the best inflatable boat, which can be rolled up into a small package that’s easy to lug around. 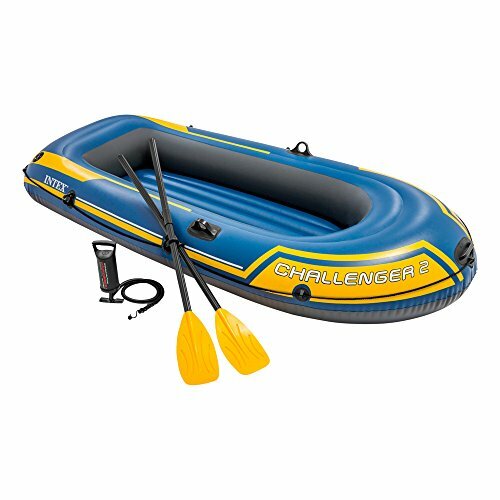 Most inflatable boats nowadays are designed to be tough and durable, so they won’t be easily damaged and leave you stranded out in the water. If you want to go boating with your child, this is the perfect boat for you. Priced at approximately $30, it’s strong enough to fit one adult and one child and is ideal for recreational fishing, boating, and rowing. It’s made of durable 20-gauge PVC vinyl, measures 86 by 13 by 45 inches, and can carry up to 253 lbs. It’s resistant to oil, gasoline, and saltwater, so there’s no need to make special precautions when you’re near motor engines or in a saltwater inlet. 2. 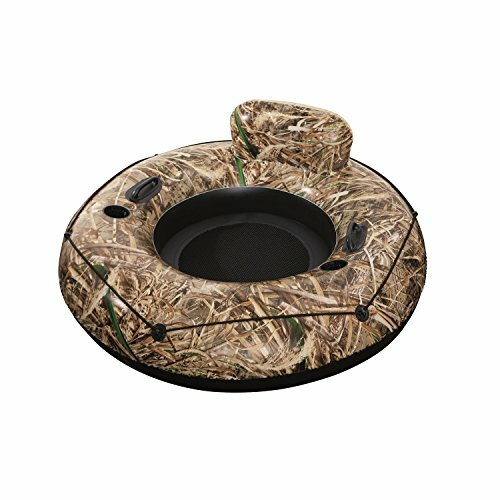 Bestway REALTREE MAX-5 Drift Commander 10'4"
With a weight capacity of 661 lbs and an inflated size of 124 x 49 inches, this inflatable boat can easily carry you, a friend, and a bunch of equipment like a cooler or fishing gear. It’s made of durable vinyl printed with Realtree photo-realistic graphics, which makes it easy for you to camouflage your boat if needed. You can take it home for around $120. 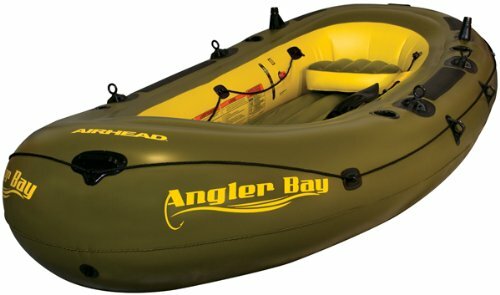 This boat is a steal at less than $100. It’s made of 30-gauge PVC vinyl, which makes it ultra-durable and allows it to resist impacts and abrasions. It also comes with two air chambers for added safety along with inflatable cushions in the front and back for comfort. It measures 133 x 19.5 x 50 inches when fully inflated and can carry up to four people. If you’re looking for a sturdy and stable boat, you won’t go wrong with the Intex Excursion 5. It comes with a total of three air chambers: two main hull chambers with a Boston valve for quick inflation and fast deflation, plus an auxiliary air chamber for additional buoyancy. It’s made of heavy-duty PVC vinyl that’s resistant to puncture, and it can carry up to five people. You can bring it home at around $120. Want to have a party out in the water? 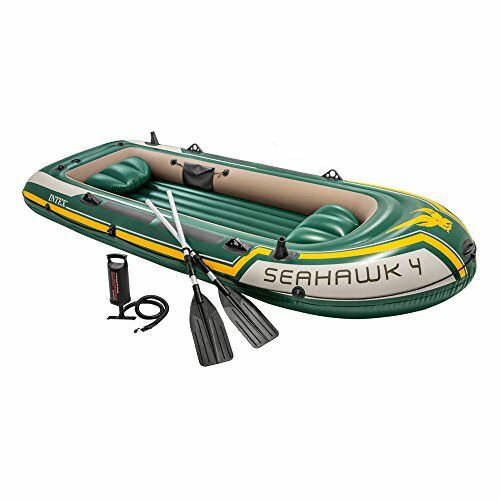 Shell out around $200+ for this inflatable boat! Made of 32-gauge heavy-duty vinyl, it measures 140 x 66.5 inches and can comfortably carry you along with five of your friends or family members. It’s portable and lightweight so transporting it isn’t difficult, and it comes with patented Speed Safety valves for quick inflation and deflation. 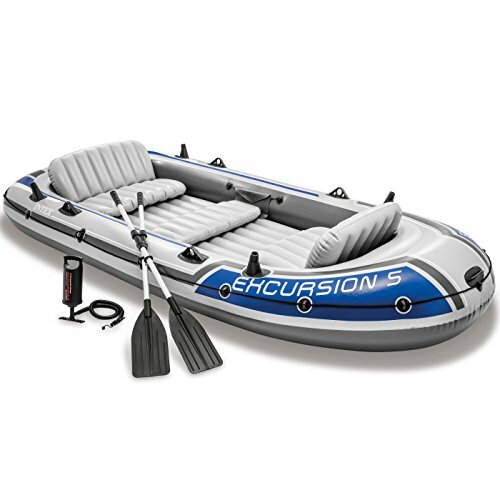 Explore these products now to find the best inflatable boat for you and your loved ones!